for $249,000 with 5 bedrooms and 4 full baths. This 2,856 square foot home was built in 2009 on a lot size of 0.76 Acre(s). 5 Bedroom Cape Cod Home with Open Floor Plan, Fenced back yard and Farm Views. This nearly New Home has a Large Kitchen and Eating Area combined which flows smoothly to the Living Room with high ceiling and free standing electric fireplace. Currently used as a Den, the 1st floor Master Bedroom has a Large Bath and Walk In Closet. 2nd Master Bedroom is on the upper level along with 2 other bedrooms and 2 full baths. Outside area is fenced for privacy and there is a gazebo for shade on the deck. 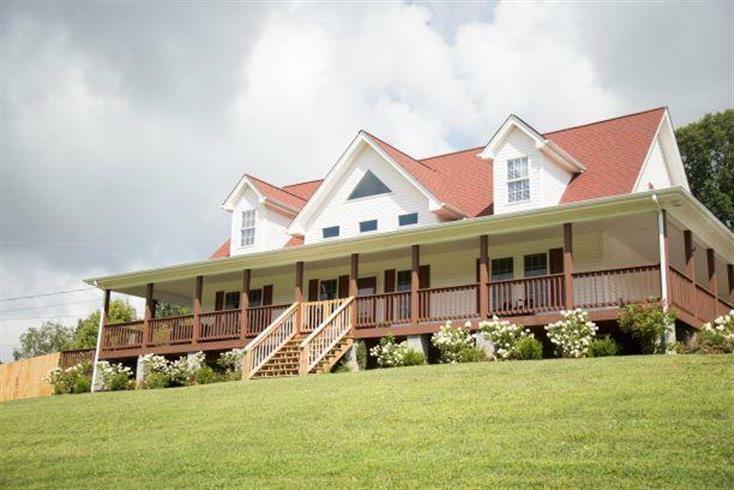 The porch wraps around 3 sides of the home to take advantage of the farm views to the south. Kitchen boasts stainless steel appliances, and a center island. There is no carpet in the home-All Hardwood and Ceramic Tile. Attic with pull down steps, lined crawl space and an out building for storage. Lots of closet space. Call today for your private showing. This one won't last long!